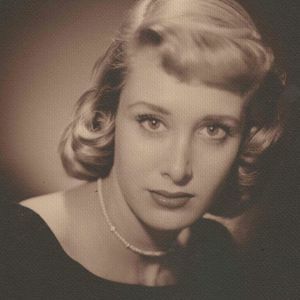 Gale Virginia Buchanan passed away on January 12, 2018 in San Antonio, TX. She was born January 19, 1936, in New York, NY to Roger and Frances Wentworth. Gale was a beloved mother and successful businesswoman. She was an early pioneer in the fitness industry, owning and operating fitness studios, most notably Purely Physical in Alamo Heights. She had a passion for life, an engaging smile, and enjoyed sharing her knowledge of a healthy lifestyle with others. To know Gale was to love her. Gale was preceded in death by her parents. She is survived by her fiancé, Stewart Lambert; her children: Ann Buchanan and husband Rick Moore, Charles Buchanan, and Karen Singstad and husband Charles; grandchildren, Rachel Dealy and Jonathan Dealy; and her brother Bruce Wentworth and wife Elizabeth. Her life was celebrated by family in a private ceremony. For those that wish to, the family requests memorial contributions be made to the Alzheimer's Association (www.alz.org). Add your thoughts, prayers or a condolence to Gale's guestbook.